Josef Albers was a renowned German abstract painter and color theorist, one of the most prominent and influential pioneers of 20th-century modernism, who dedicated a great deal of his life to art – either teaching it or producing it. He is best known for his series of paintings titled Homage to the Square, where he praises the strict form and patterns, and the powerful nature of colors. He was one of the most important persons in laying the foundation of European Modernism, particularly those close to the Bauhaus. His extensive theoretical work that was based on contentions that color, rather than form, is the primary medium of pictorial language, directed development of modern art during the 1950’s and 1960’s in the United States. Josef Albers was born in Bottrop, Germany, in 1888 to Roman Catholic parents. Albers started his highly successful career as an art teacher in 1908. Initially, he worked in Bottrop until 1913, when he moved to Berlin to study and further train as a teacher at Königliche Kunstschule for two years. A year later, he moved to Essen, and in 1918 he did his first commissioned work Rosa mystica ora pro nobis, which was a window of a church in Essen, made of stained-glass. The following year was the beginning of his development as an artist, as he moved to Munich to study at the Königliche Bayerische Akademie der Bildenden Kunst. He there received his education and training from some of Germany’s most eminent painters and art theorists such as Franz Stuck and Max Doerner. It could be said that the year of 1920 was Albers’ milestone, as he moved to Weimar to study at the Bauhaus, a renowned German art school. He took up a course of Johannes Itten, a Swiss expressionist painter. Despite having studied painting, he became a faculty member in 1922 as a stained glass maker. A year later, he was offered a position to teach a new preliminary course “Werklehre” by Walter Gropius, the Bauhaus founder, and director. Since Albers had been raised by parents who had been working with handicrafts, and since he had the knowledge and skill needed, he was the perfect candidate for that position. The Bauhaus was moved to Dessau in 1925, and Albers moved with it, getting tenure there. Some of his many co-workers were world’s most renowned artists, such as Paul Klee (with whom he had worked for several years), Oskar Schlemmer and Wassily Kandinsky. One of his students was Anni Fleischmann, who would later become his wife. In this period, he still continued to work with stained glass and started designing furniture and objects of utility. The rise of the Nazi regime in Germany resulted in the shut-down of the Bauhaus in 1933, and a majority of artists had fled, Albers included. He went to the US, where he was immediately given a job at Black Mountain College, a newly opened art school in North Carolina. He was the head of the painting program for 16 years when he resigned in 1949. Albers taught many students there, who would later prove to be hugely successful artists, like Cy Twombly and Robert Rauschenberg. 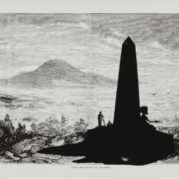 During the time he spent at Black Mountain, he made numerous woodcuts and leaf studies. In 1950, Albers moved to Connecticut, where he started working at Yale University as the chairman of the Department of Design. For the next eight years, a number of highly acclaimed artists learned from Albers, such as Neil Welliver and Eva Hesse. It was in 1958 that Josef Albers decided to permanently retire from teaching. He did, however, remain a fellow at Yale, continuing to closely work and cooperate with them. In 1962, he was awarded a grant, provided by the Graham Foundation, for a lecture and an exhibit of his rich body of work. He also worked with King-lui Wu, an architect and a professor at Yale, helping him create designs for some of his projects. Around this time, he started working on his Structural Constellations, a series he was still developing at the time of his death. In 1973, Josef Albers became a Fellow of the American Academy of Arts and Science. Josef Albers belonged to the group of artists who created in geometric abstraction movement. The strict geometric form and patterns are clearly visible in his works. Albers brought several elements from both European and American art into his work. The influence of the Europe’s Constructivists and Bauhaus movements exists in his works – the energy and tension of colors, and the small scales – but he leaned heavily on the new American art of the 1950’s and 1960’s. Behind many of his works, a list of colors and varnishes can be found. Those were all the elements he used when creating, in an attempt to catalog and “record” them. The plays of color intensity and vibrancy of forms and patterns in Albers’ paintings have influenced a great number of artists. Painters who created hard-edge abstract art draw from the tension and sharpness of his colors and patterns. Albers is often cited as an artist who had contributed a lot to the development of several movements in art, such as Minimalist, Conceptual, and Op art. Interaction of Color was Albers’ book about the color theory, published by Yale University Press in 1963, that was conceived as a handbook and a sort of guide for artists. This unique masterpiece soon became the most popular and influential book about the theory of colors – their intensity, temperature, and relative and delusive nature. In it, Albers theorizes that it is the inner logic that has control over colors. This was also the period when he designed a number of album covers for musicians like Terry Snyder and Enoch Light. Homage to the Square is a notable series of hundreds of abstract paintings that Albers started creating around 1950. Albers greatly respected composition and with this series, he experimented with squares planted within one another, and the nature of their interactions. The paintings usually consist of three or four squares of different dimensions and formats painted using a palette knife on a piece of Masonite hardboard. A few paintings from the series are estimated to be worth around half a million dollars, but some of them have surpassed their initial price estimate, reaching the exorbitant amount of over 1.5 million dollars. One such painting is Joy from 1964, sold at Sotheby’s auction in 2007. Unlike Homage to the Square, Structural Constellation focuses on form, rather than color. It is a series of reliefs and engravings which Josef Albers began creating around the same time as Homage to the Square, and like the series of paintings had not stopped creating until his death. The main idea Albers explores is the visual uncertainty; he wants his viewers to “open their eyes”. Seemingly convoluted geometric shapes that appear to be impossible to exist in our three-dimensional realm, force us to catch the understanding of them. Albers also created a number of murals, which adorn walls of building throughout cities in the US. Two Structural Constellations can be found in the lobby of the Corning Glass Building in New York City. Inspired by the series of the same name, the mural made of gold-leaf was designed in 1959. Albers continued doing commissioned murals in New York. The huge Two Portals is located in the lobby of the Time & Life Building, in Rockefeller Center. The white and brown glass lines, with two bronze centers, give off the impression of false depth. The MetLife Building (at the time known as Pan Am Building) was constructed by Walter Gropius, and he invited Albers to create a mural for it. Albers re-designed his City from 1929 (the construction he did at the Bauhaus) and gave it a new name: Manhattan. Unfortunately, the mural was relocated around 2000 due to the reconstruction of the building’s lobby. Other murals Josef did include Growth and Loggia Wall (both of which were painted in 1967 for the Rochester Institute of Technology), and Gemini (1972, located in Kansas City). Australia is another country where one of his murals is located: he made his Wrestling in 1976 in Sydney for Seidler’s Mutual Life Center upon his former student’s request. Josef Albers, together with his wife Anni, who was a textile artist, writer, and printmaker, established a non-profit organization in 1971. Initially, their mission was to promote and deepen the vision of art. Today, however, the organization is dedicated to promoting and perpetuating the couple’s legacy and artistic principles of their lives. The foundation supports the artists whose artistic expression was shaped by Anni and Josef by organizing and sponsoring exhibitions, promotions, and publications. It also has the biggest archive of the Albers’ works. They are based in Bethany in Connecticut, US. Several museums have held retrospective exhibitions of Albers’ work, including The Metropolitan Museum of Art and the Guggenheim Museum in New York, and in Paris at the Centre Pompidou. In 1983, a museum in Josef’s native town, Bottrop, was opened, dedicated to his life and work. 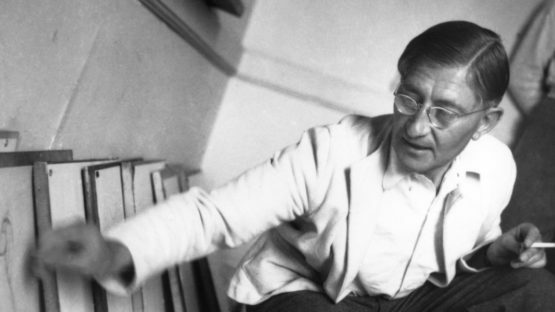 For the greatest part of his life, Josef Albers lived and worked in New Haven, Connecticut, with his wife, until his death in 1976. His art and theories were widely excepted and applied among the generations of artists and art schools that enabled basis for the development of non-objective art from Abstract Expressionism onwards. Transforming the art education and pedagogy by creating a non-dogmatic, un-hierarchical, scientific approach based on observation and experimentation, he invented the methods that became accepted part of the academic training of visual artists.